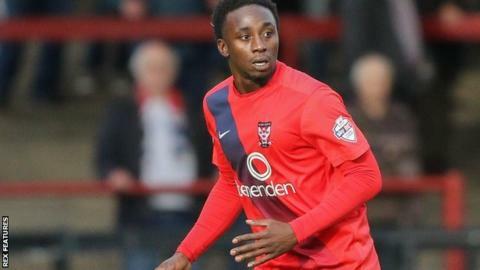 York City have released full-backs Marvin McCoy and Anthony Straker. McCoy, 27, joined the Minstermen from Wycombe in June 2014 and made 45 league appearances for the Bootham Crescent side. Straker, also 27, joined in the same month and made 23 league appearances, as well as spending time on loan at Scottish Premiership side Motherwell last season. Jackie McNamara's side are currently bottom of League Two.